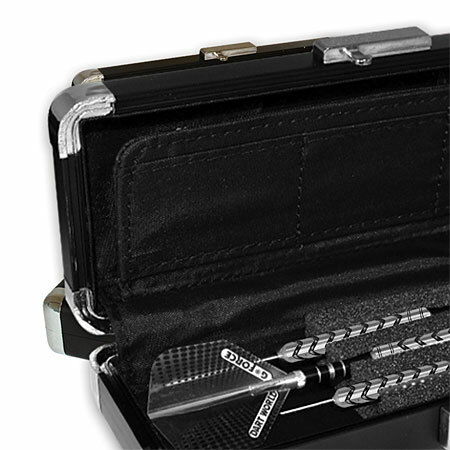 Platinum - Steel-Tip Tungsten Darts from Dart World. Dart World Innovation! Using unique Special Cuts with Azurri Titanium Nitride embellishments or Zig-Zag or Spiral Cuts combined with high quality 90% Tungsten and the best selling shaft, the Top Spin. These are grip qualities without equal. The longer points reduce bounce-outs and increase potential balance points for different players. 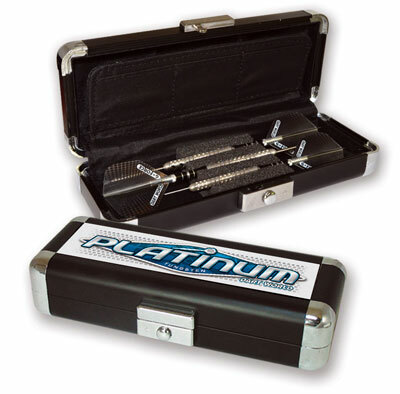 The Platinum darts comes in Dart Worlds Popular Galaxy Case. Plus- we may still have Platinums which have the 1-3/4" Piranha Points on them- which extend 1-1/2" from the Barrel.